LED light bulbs are the wave of the future. LED lights are the wave of the future of both indoor and outdoor lighting! It wasn’t long ago LED light bulbs were outrageously pricy and not a good choice for outdoor lighting or even indoor lighting. From a cost standpoint there was only one real choice for your home lighting and that was incandescent light bulbs. As with all light bulbs you have to pick the wattage based on how bright you want the light to be. In recent history the government has outlawed the incandescent light bulbs and the replacements are CFL which stands for condensed florescence lights. These CFLs are more efficient and save money but they are somewhat expensive. The real issue with CFL’s are how you can dispose of them or if they break in your house. The government rushed to mandate these CFL’s as not only cost effective, efficient but when they break in your house it spills out mercury and that requires a HAZMAT clean up! But no one is going to do that! So, now we have a new option that doesn’t has a HAZMAT issue and that is an LED light bulb. First remember that incandescent light bulbs work by current that runs through a filament, which glows brightly, inside a vacuum or the filament would burn up. Now, CFL bulbs run current through the bulb that has both argon and mercury vapor; which, then produces the light. 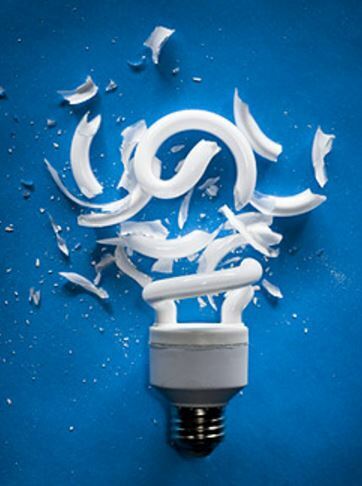 CFL bulbs save up to 70% less energy when compared to an incandescent bulb. That is a great savings in your electric bill and is what the Government likes, and we do too. 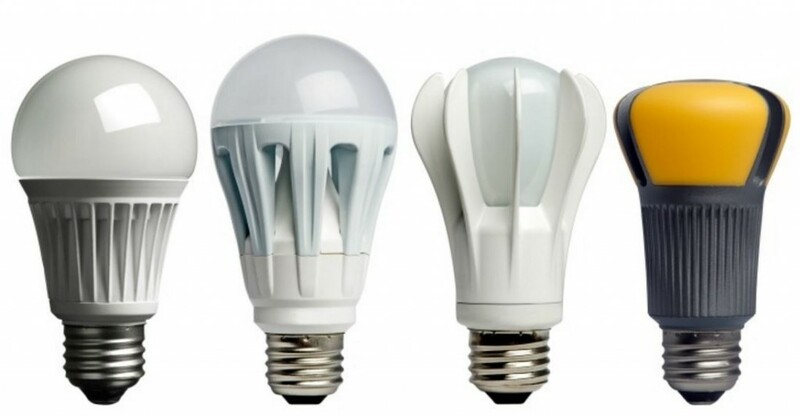 CFLs also last years longer than our incandescent bulbs which also maps out to cost savings. A broken CFL can be a real headache to clean up properly. With all this savings what are the drawbacks to using CFLs? These bulbs, when first turned on it needs to warm up to supply light. Therefor the lights are dim at first then slowly brighten up. This fact makes them not ideal for some places around your home. For example in stair cases or other places where you need light NOW. Plus if you have one break in your house it’s almost a nightmare to clean it up safely! We will have a blog post just on the steps you have to go through to clean them up; however, when you look at it they are nuts! You also need to check the recycle laws in your state to find the appropriate way to recycle your nonfunctional CFLs. The “light emitting diode” LED technology has really matured and so much that LEDs can now become lightbulbs in our homes. LEDs used to only be found in small electronics such as DVRs, bedside clocks, and even in appliances. They used to be fairly weak and is mostly directional; both of these facts are not appropriate for general light bulbs. They were always on the fringe of true mainstream technology for home use. LEDs have lots of great features! Lower energy cost, safe, cool, and produces instantaneous light plus they are able to be used with a dimmer switch. Dimmers allow for great mood lighting while all the time they can produce lots of light when you need it. LEDs can also last from 20,000 up to 50,000 hours of continuous operation! With the combination of efficiency, durability, long life; used to come with a high cost. However, now that isn’t true anymore. You can get LED bulbs on Amazon.com for as little as $8! There are lots of options in LED lighting so you need to really study the various options. There are 60 Watt LED bulbs out there for around $5 USD! There are some businesses like Home Depot that run specials on these bulbs as low as $2.50! LED lighting is also good for outdoor lighting too! Outdoor lighting can really make your yard more enjoyable where you can enjoy the outside all with outdoor lighting with LEDs. It also has great application in indoor lighting and recessed lighting projects. They are very versatile and you can learn more about them from Todd Hill of Hill Electric, located in Palm Desert CA. If you want to see what LED lighting can do for your home, give us a call and ask for a free appointment.